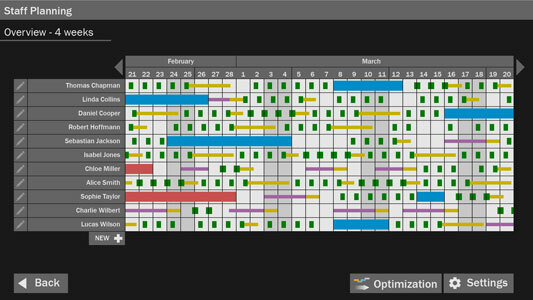 We are excited to introduce MasterMAN™ iRoom, a brand new tool for the deployment planning of Air Traffic Controllers. 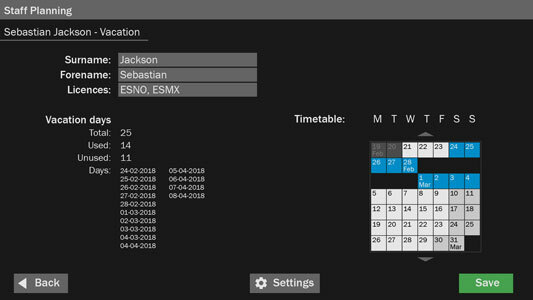 The tool is fully configurable and tailored to the needs of small to medium sized airports by using flight plan and real-time data for the roster optimization. In the first step, you enter information about your staff (vacation days, license types, etc.) In the second step, iRoom loads and analyses flight plan and real-time data provided by m-click.aero using the cloud4.aero services. Finally, the roster is calculated based on the traffic at the airport and availability of the ATCOs. The result is an optimized roster, displayed in a transparent, color-coded User Interface. What used to be complicated and time-consuming paperwork becomes an automated, intuitive process. 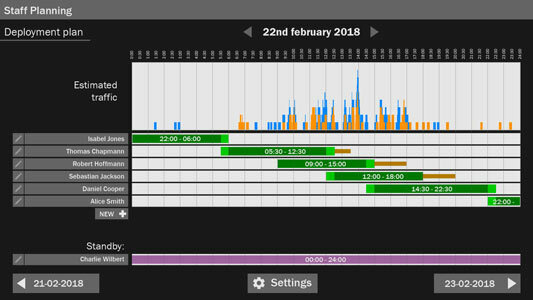 With MasterMAN™ iRoom you can not only reduce your labour costs but you simplify your deployment planning and you can prevent mental overload and underload of your ATCOs by allocating your staff intelligently. The software was developed by Human Factors Consult. HFC specializes in designing and configuring technical systems and software interfaces in terms of usability, product experience, acceptance and safety. With an interdisciplinary team that brings together expertise from psychology, engineering, mathematics and computer science, problems of hardware and software adaptation to humans are solved. These include the evaluation of assistance systems in the vehicle and the investigation of fatigue measurability. Their customers come from the automotive, railway and aerospace industries as well as the departments of safety and medical equipment. The basis of the work at HFC is a high methodological competence – not only in human scientific and technical fields, but especially in interdisciplinary collaboration. Thus, the different questions of human-technology design can be handled for all domain applications. They range from the analysis of safety vulnerabilities over developing services such as GUI design or user guidance, to long-term research projects in occupational health and safety, and road safety.